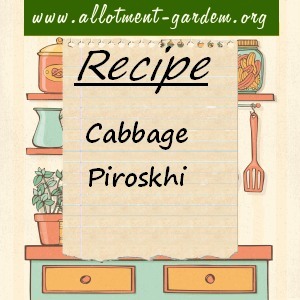 Cabbage Piroskhi is best described as a cabbage in pastry parcels appetiser. Unusual and very more-ish. 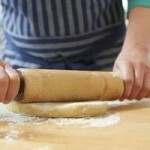 To make the dough, rub the margarine or butter into the flour and add the salt. 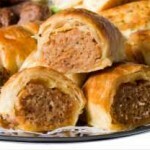 Bind with the sour cream, wrap in cling film and chill in the refrigerator for about 1 hour. Shred the cabbage quite thinly, thinly slice the leek or onion. In a saucepan, sauté the cabbage, leek or onion and add the dill seeds. Season to taste with salt and pepper. Cool slightly. Roll out the the dough and cut into circles or squares. 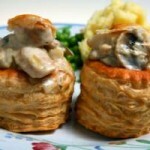 Put a spoonful of the cabbage mixture on each and either fold in half or place a second piece of pastry on top. Seal well with beaten egg and brush the top with egg to glaze. Cook in a pre-heated oven at Gas Mark 7 (220°C/425°F) for about 15 minutes until golden. Serves 4. Works well as an appetizer, with or without soup. If you haven’t got the time to make the sour cream dough, use puff or flaky pastry. Try mixing a crushed clove of garlic in with the cabbage as well.